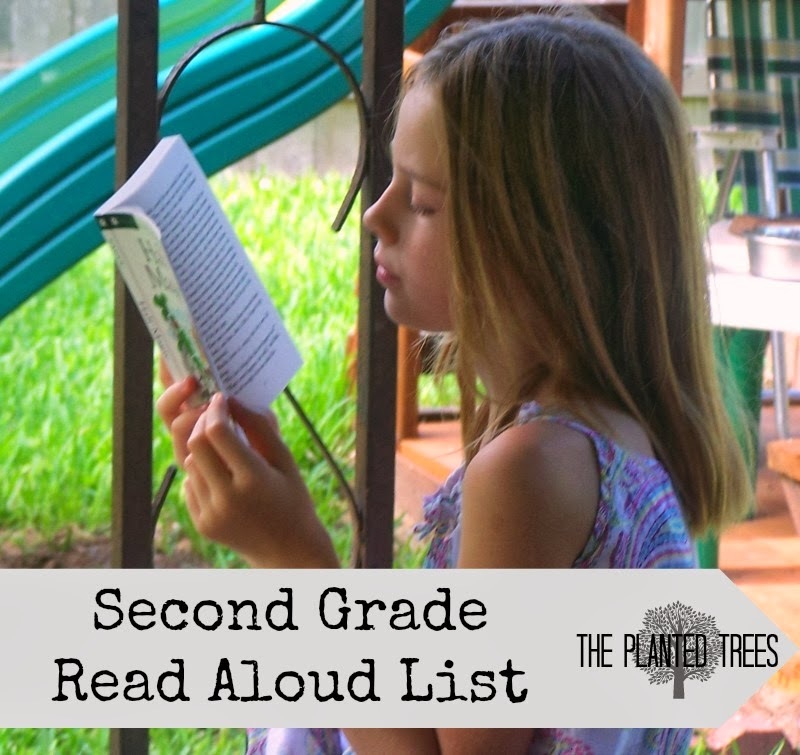 The last few weeks I shared our Preschool Read Aloud List, Kindergarten Read Aloud List, and First Grade Read Aloud List. This week I thought I would share what we’ve enjoyed for our read aloud time during Second Grade. This list is moving into an almost all chapter book/novels list, but some picture books are still on here. I have noted which books are chapter books and which are picture books by noting the picture books with a (pic) and chapter books/novels with a (ch). Please keep in mind that children can understand books at a higher level than they can read them, so if the books seem advanced for this age group, they are supposed to be! The Truth about Poop by Susan E. Goodman (ch)* The title is gross, but this book is really interesting and informative! What happens as the lists turn into chapter books and novels is a lack of time to read them all. Especially if your child really latches on to one of the series listed above. My general rule of thumb to get through all of my book lists is to have one book going before bedtime reading and one book going in the car. I try to use the books in the car for the series that Chipette wants to continue. For example, I read the first Penderwicks book to her and the others we are listening to in the car. Same with Harry Potter. And Lemony Snicket. And Mrs. Piggle Wiggle. Well, you get the idea! You are very welcome! Read alouds are the favorite part of our day around here. We do them right before bed, and since each girl has their own list, it makes for a lot of fun since everyone listens. This is a wonderful list. There is one book that is missing from your list that my second graders absolutely loved. It is another of Kate DiCamillo's books. The Miraculous Journey of Edward Tulane was by far the favorite book of the entire year. Thank you for making these lists. Parents and teachers are always looking for more good book ideas. Thanks for the book rec! I'll definitely have to check that one out. We recently finished The Tale of Despereaux, and it was loved.